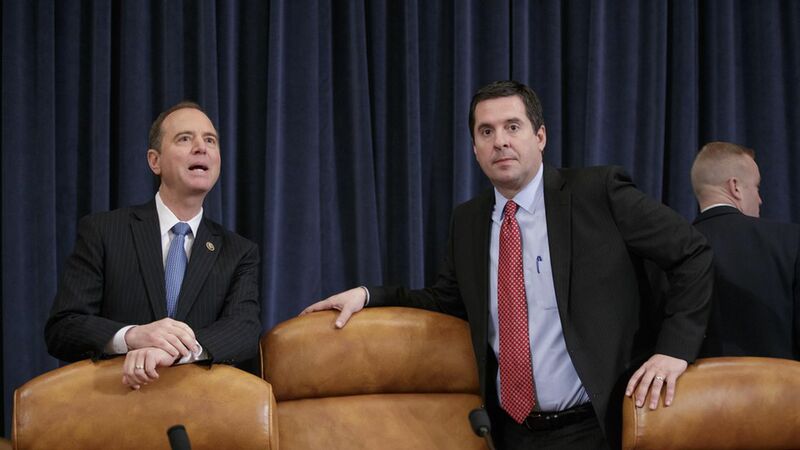 Schiff: Secrecy over Nunes docs part of Trump's "attempt to distract"
"The deputy assistant to the White House informed me… 'these are exactly the same materials shown to the chairman'…now this is a very interesting point. How does the White House know that these were the same materials that were shown to the chairman if the White House wasn't aware what the chairman was being shown? …if these were produced either for or by the White House, then why all the subterfuge? "You can say a lot of things about the president but… he's not subtle. I think his tweets tell the story…It's certainly an attempt to distract, to hide the origin of the materials, to hide the White House hand. The question is of course why. I think the answer to the question is this effort to point the Congress in other directions… 'don't look at me, don't look at Russia, there's nothing to see here' …it ought to set off alarm bells"
On Mike Flynn's immunity request: "I think we start out with a very healthy skepticism. We don't want to do anything that will interfere in any case that the Justice Department may decide to bring."